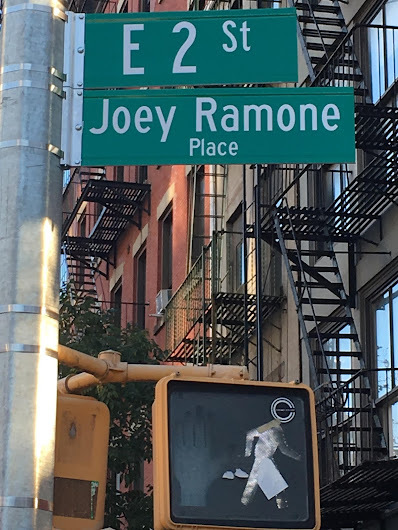 For some reason this past week, the Joey Ramone Place street blade was lowered about 10 feet here on the Bowery and Second Street, where this block of Second Street is co-named for the frontman of the Ramones. 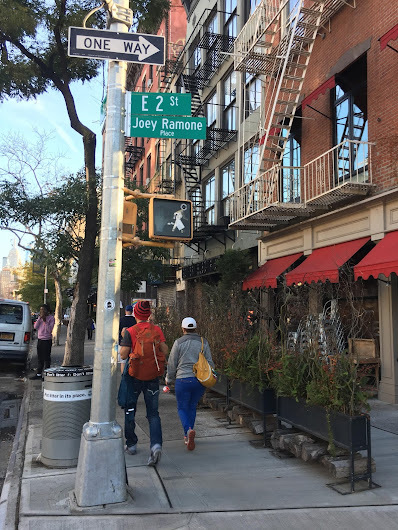 Perhaps it came down to make room for the Williamsburg (Sonny Rollins some day?) Bridge sign. The higher placement happened several years ago after the sign was previously stolen a half-dozen times. So workers raised the sign to 20 feet. 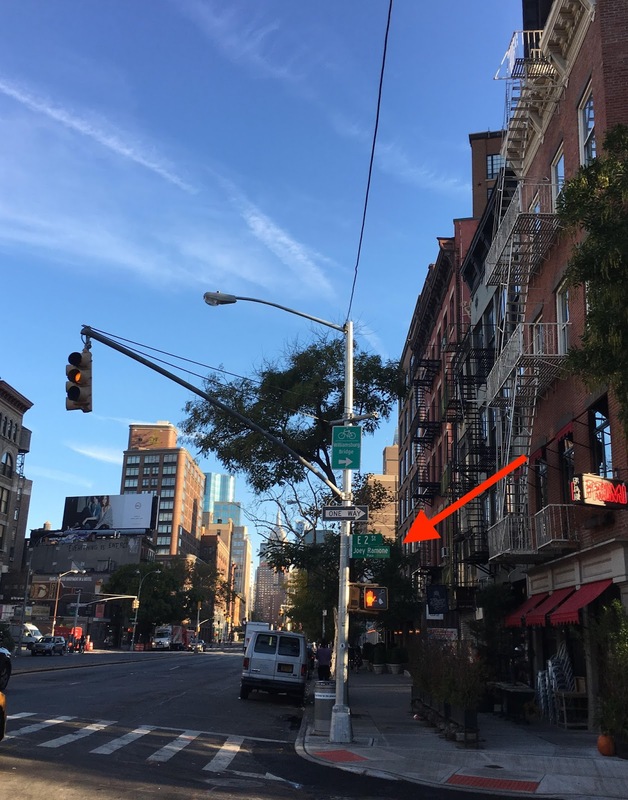 Standard street signs are between 12 and 14 feet off the ground, per the Post. The sign first went up in November 2003.
could it be related to the new sidewalk? 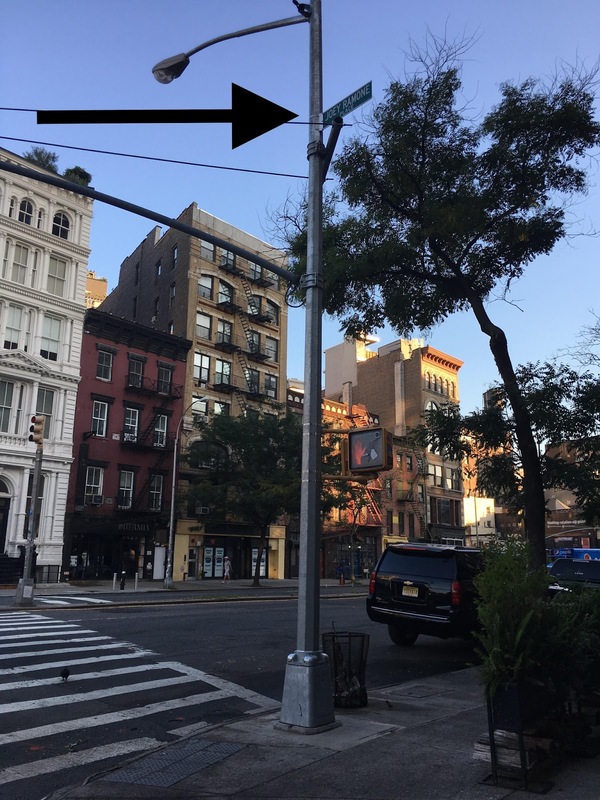 I don't think they were taking the street lamps down though..